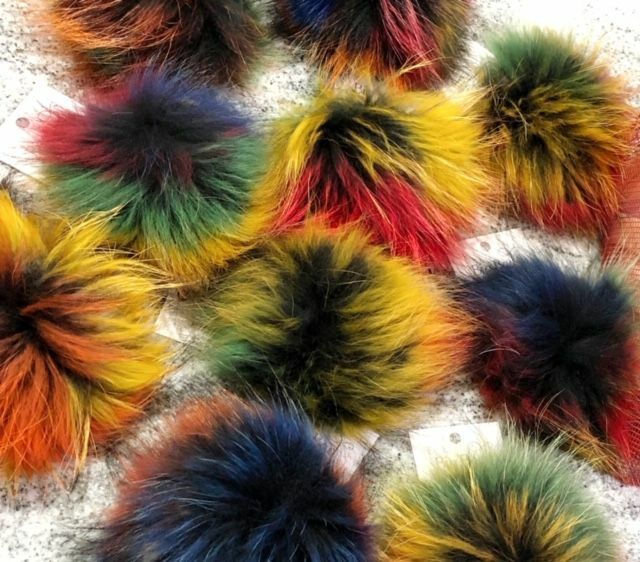 Big Bad Wool XL Multi Pom Pom - Woolly&Co. Brighten up your winter blues with a variety of hues! 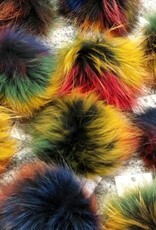 This multi-color fur pom features a snap (GREAT for washing your hat, or making pom poms and hats interchangeable).